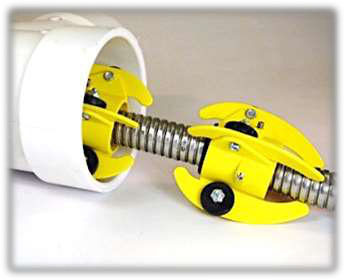 Hot Products – Consolidated Pipe & Supply Co.
Three pivoting arms dynamically adjust to fit the required diameter keeping the camera head centered in the pipeline at all times. No extra parts, tools or manual adjustments are required. 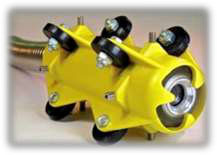 Six rugged nylon wheels allow the skid to roll easily through the pipe. 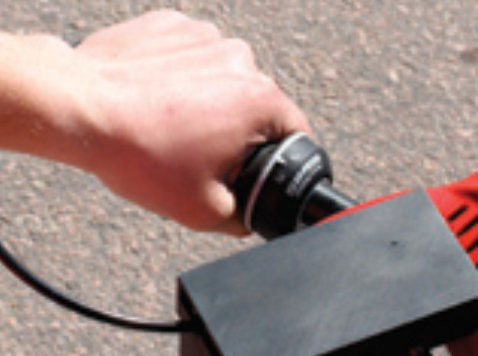 Optional auxiliary flashlights are available and mount securely to the roller skid to provide extra lighting. A safety harness comes standard for secondary/emergency retrieval. 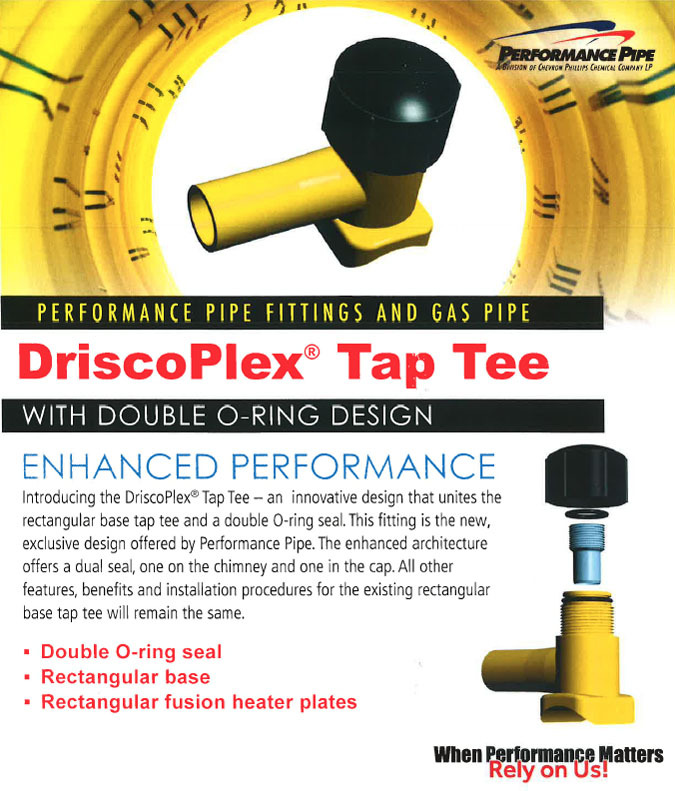 Easily negotiate 6” to 18” pipelines. Negotiates 6” x 45° elbows and 8” x 90° bends. Six 2” wheels help guide the camera through the pipeline. Increase camera lifetime and protects your camera investment. Increases depth range due to wheel lubricity. Protects the camera-head and allow maximum flexibilities for rigorous performance. View more content with a larger screen permitting more inspection. Easy-to-use inspection with cordless “On-Dem and” recording from a distance. 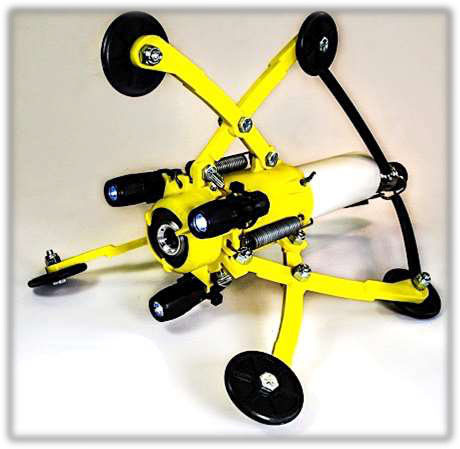 Portable pipe inspection and detachable comm and module. 1.3” diameter camera will bring more inspections with one camera and fewer repairs. Simply add detailed information to your inspection during recording. 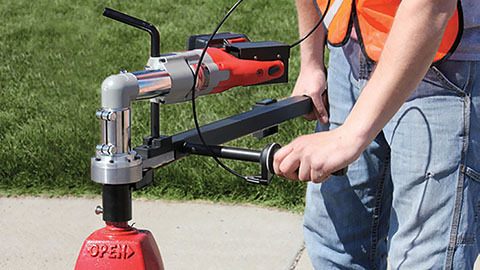 Lightweight, cordless and easy to use, the Spin Doctor® HH200 delivers up to 200 ft. pounds of torque to tackle your fire hydrant and small valve inventory. When you need a tool with which you can simply pickup and go, the Spin Doctor® HH200 is the tool for you. The Spin Doctor® HH200 is a convenient, easy to operate and totally portable tool for operating fire hydrants and water main valves. The Spin Doctor® HH200 is designed to operate at a safe and constant speed utilizing a hand operated throttle control. With a rechargeable 28 volt Lithium Ion battery, you will have all the power you need to finish the job. When teamed with Hurco’s Fire Flow Pro® and Spin Doctor® boom valve exercisers, you have the perfect match for every valve and hydrant in your inventory. The RoDon Corporation’s RoDon K-3 Fire Hydrant Security Lock was designed and engineered to provide two important municipality water security functions. 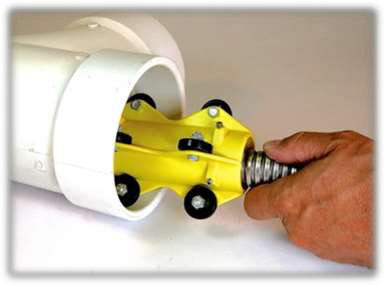 First, to deter unau-thorized personnel in accessing a fire hydrant’s operating nut and using the hydrant as an inlet connection. Secondly, by incorporating a high intensity reflective tape positioned at the top of the “outer shell”, fire department personnel will be assisted in immediately locating the so equipped hydrant especially during adverse weather conditions and during night time. 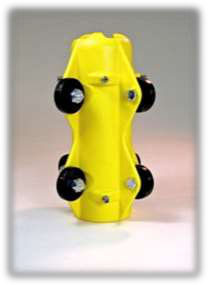 The re-flective tape band option may also incorporate a color system to identify hydrant flow rate (GPM) information. A ductile iron 1 1/2″ pentagon operating nut extension with a stainless steel swivel hasp mounts to the hydrant’s 1 1/2″ op nut. A heavy tubular steel outer shell that completely encloses the inner op nut extension except for the padlock hasp that protrudes through an opening in the top. When in-stalled both the shell and the hasp swivel freely and individually. Assembled, the K3 lock measures 3″ in diameter overall and 6-1/4″ high to the top of the swivel hasp. 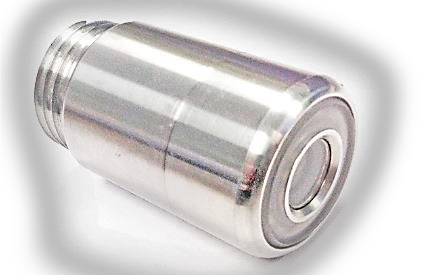 To quickly assist first responders in locating and identifying the K3 security Lock during nighttime and adverse weather conditions, the K3’s outer shell is provided with a 2″ wide, 360′ visibility silver/white reflective tape band. In addition, and provided as a option, color bands (2″ wide) indicating hydrant flow rates are available and will be positioned beneath the existing sil-ver/white reflective band. 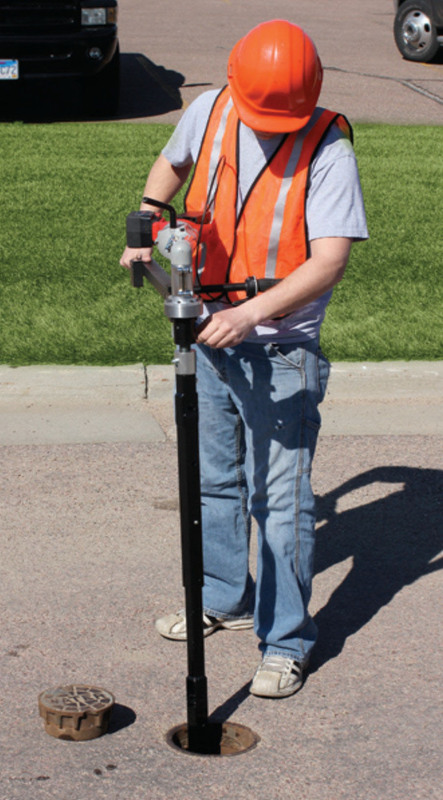 Now get Wanco ingenuity in a portable light tower. Wanco has been building light towers for 25 years. With this kind of experience, it’s no wonder the Wanco Light Tow er has turned heads. Our engineering expertise and dedication to quality have m ade the Wanco Light Tow er unique, with innovation the industry has never seen. Portable light tow ers are ideal for w ide-area outdoor lighting in a variety of construction, commercial and special event applications. 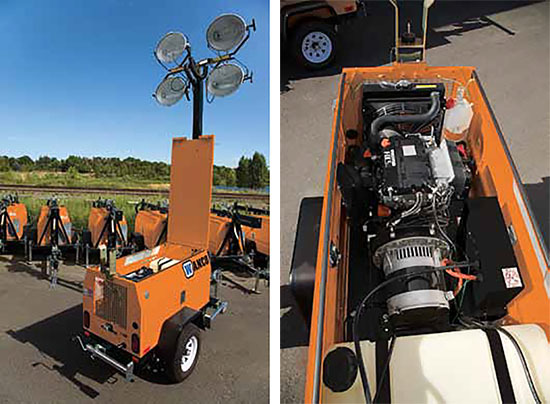 Wanco Light Towers feature four 1000-watt light fixtures atop a 30-foot variable-height mast. Pressure management in pipe networks is fundamental to providing safe drinking water. The loss of pressure can allow ground water to contaminate a distribution system and periodic fluctuations in pressure can affect the physical integrity of pipes. 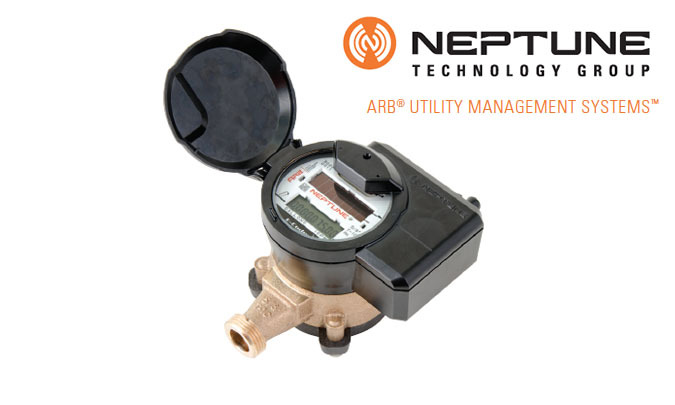 Accurate pressure data allows system operators to reduce leakage volumes, energy costs, system maintenance costs, customer complaints, and water quality problems. 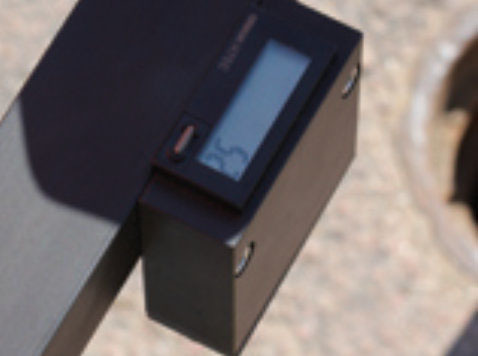 The Mueller Remote Pressure Monitoring System will reduce unaccounted for (non-revenue) water (NRW), potential infrastructure failures related to pressure fluctuations, pumping and energy costs, and improve public safety. Mueller’s user friendly and cost-effective technology allows utilities to continuously and remotely monitor pressure at any point within a potable water distribution system. The technology involves a sensor that transmits pressure readings at user defined intervals via cellular service through a Mueller-hosted secure web server. Tnemec Series 431 Perma-Shield PL is a modified polyamine ceramic epoxy that serves as an abrasion-resistant lining designed for wastewater immersion and fume environments. It provides chemical resistance to steel, ductile iron pipe and fittings for severe wastewater. It comes in a gloss finish and one color – sewer pipe green.